NOW That’s What I Call Music!, the world’s bestselling multiple-artist album series, showcases today’s biggest hits across chart-topping numbered volumes and themed releases. NOW’s latest numbered volume, NOW That’s What I Call Music! 70, will be released on CD and digitally on May 3rd. On the same date, NOW That’s What I Call Hits & Remixes 2019 will be released on CD. NOW 70 features 16 major current hits from today’s hottest artists, including Billie Eilish; Ariana Grande; J. Cole; P!nk; The Chainsmokers & 5 Seconds of Summer; Zedd & Katy Perry; Sam Smith & Normani; Dua Lipa; Fletcher; Calvin Harris, Rag ‘N Bone Man; Lil Peep & ILoveMakonnen (feat. Fall Out Boy); Mark Ronson (feat. Miley Cyrus); Bebe Rexha; Imagine Dragons; Kacey Musgraves; and Luke Combs. 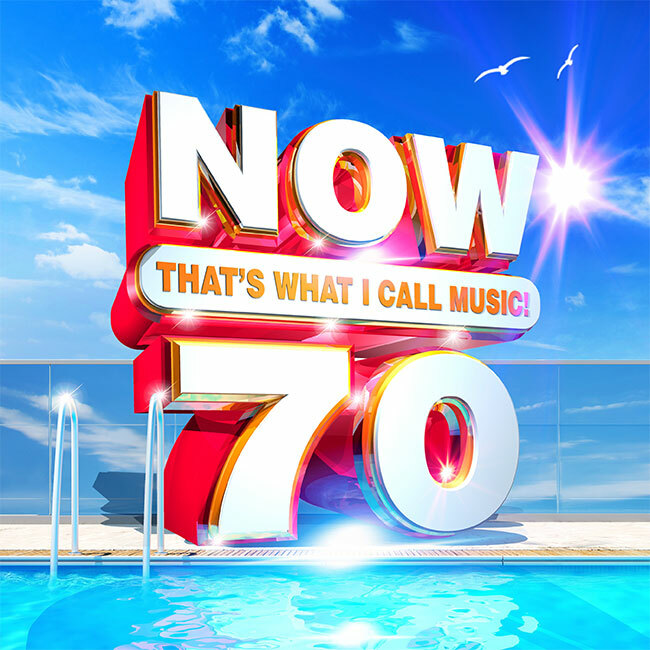 NOW 70 also includes five free up-and-coming “NOW Presents What’s Next” New Music Preview bonus tracks from The Unlikely Candidates; Grey & Leon; YK Osiris; Jarami; and Willa Amai. Previewing tomorrow’s biggest hits, “NOW Presents What’s Next” has introduced major developing artists to NOW’s enthusiastic, highly engaged audience, including Walk The Moon, Hot Chelle Rae, Hunter Hayes, Capitol Cities, A Great Big World, George Ezra, and Shawn Mendes, among others. NOW Hits & Remixes 2019 presents an ideal 18-track lineup of this year’s top singles and remixes to date, including the BloodPop Remix of Taylor Swift’s “…Ready For It? ;” the MOTi Remix of Selena Gomez and Marshmello’s “Wolves;” the Chromeo Remix of Maroon 5’s “Wait;” and Jason Derulo, David Guetta, Nicki Minaj, and Willy William’s “Goodbye,” among many more. NOW That’s What I Call Music! debuted in the U.S. in 1998, following 15 years of multi-platinum international triumph. The series has sold more than 250 million albums worldwide, topping 103 million in the U.S. alone. 68 previous releases in NOW’s numeric U.S. series have reached Billboard’s Top 10, and 19 volumes have reached No. 1. NOW That’s What I Call Music! is a joint venture from Universal Music Group and Sony Music Entertainment. NOW and NOW That’s What I Call Music! are registered trademarks of Universal Music Group and its affiliates.